In a report recently issued by Gartner, findings show employees with high levels of digital dexterity are 3.3 times more likely to launch and complete digital initiatives quickly, and to deliver value from them than those with moderate digital dexterity. What is digital dexterity? 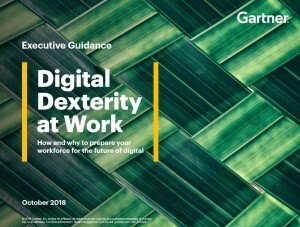 According to the October 2018 report, Executive Guidance: Digital Dexterity at Work – How and Why to Prepare Your Workforce for the Future of Digital, digital dexterity describes a set of beliefs, mindsets and behaviors that help employees deliver faster and more valuable outcomes from digital initiatives. Those beliefs, mindsets and behaviors include both the ambition and the ability to work digitally and build digital businesses. 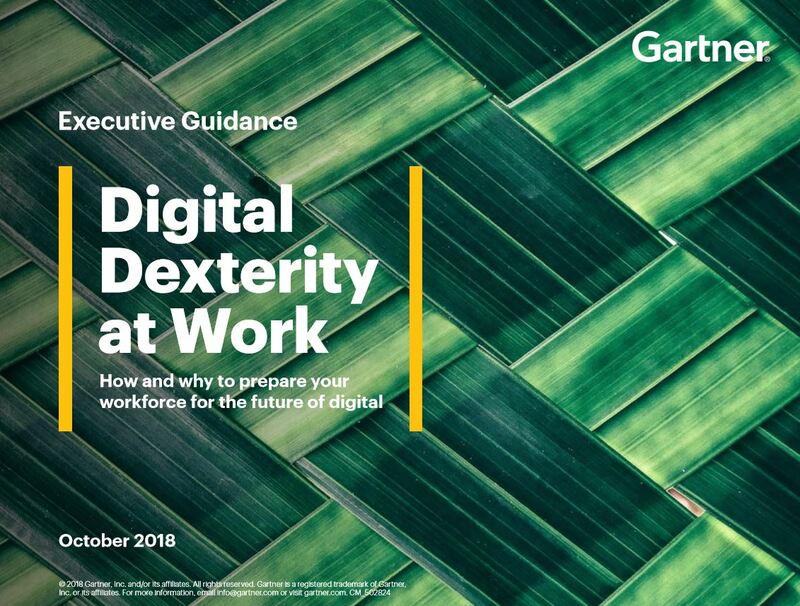 After surveying 3,500 corporate employees globally, Gartner found that digital dexterity is in short supply, is more than being tech savvy, is not dependent on millennials and is higher in some demographics where employees work in digitally-intensive functions and industries or who hold senior positions. The fact that digital dexterity is rare is an opportunity for the Chief Marketing Officer to lead and direct the marketing team as well as to influence and set an example for the rest of the organization as needed. What can the CMO do to encourage digital dexterity within his or her marketing team? First, set the tone by crafting a digital business narrative that highlights the importance of digital dexterity. Second, model the behaviors by setting the example that others should follow. Lastly, embed in the operations by ensuring that workflows, incentives, budgets and policies foster, not hamper, digital dexterity. In organizations where leaders consistently carry out these actions, the impact on employees’ likelihood to possess digital dexterity is 2.4X that those in which leaders do not. The CMO can create a marketing organization in which digital dexterity thrives. The benefits of high levels of digital dexterity ensures that marketers work iteratively, collaborating across seniority levels and functional boundaries. The associates also become risk-tolerant, flexible and autonomous in their roles and can work through uncertainty similar to what’s happening in high tech organizations. CMOs can support iterative and collaborative ways of working by establishing diverse teams, setting the expectation that decisions made impact the customer, and removing barriers. Incorporating design-thinking techniques, including empathy and customer journey maps, further encourages digital dexterity. To find out more, simply download the Gartner Digital Dexterity report from Gartner Executive Guidance and begin with the action steps listed. © Gartner, Inc. and/or its affiliates. All rights reserved. Gartner is a registered trademark of Gartner, Inc. or its affiliates.